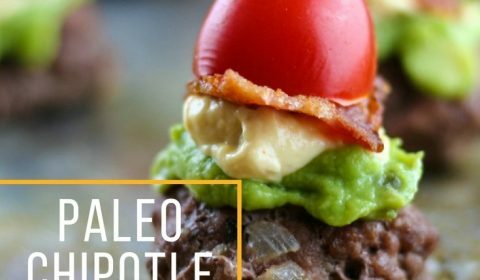 Bacon, guacamole, and chipotle mayo, you can’t get a better flavor combination than that! 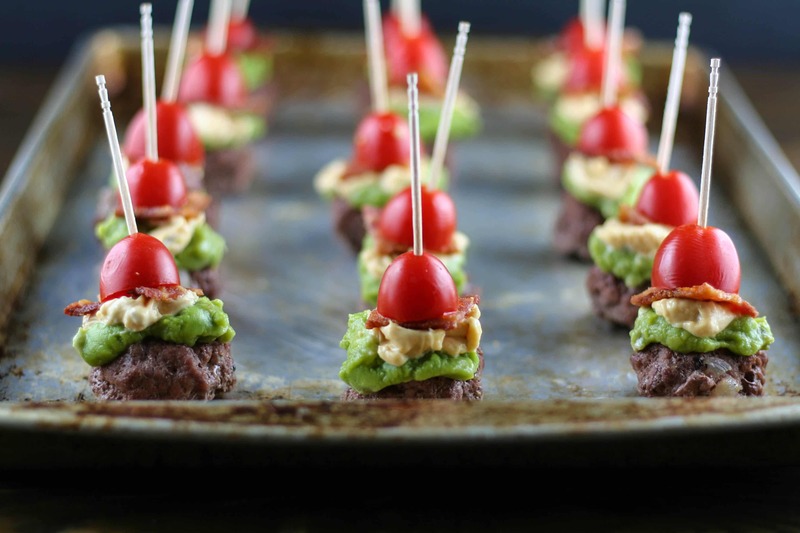 These bite-sized burgers would be the perfect addition to your upcoming Labor Day gathering. The kids devoured these (well, one in particular) when I fixed these the other day. Okay, I have to admit, I did too! They were so good! You can also customize these however you’d like. Add on pickles, jalapenos, or maybe some cheese, if that’s your thing. These were also super simple to make, you can have these ready to go in under 30 minutes. 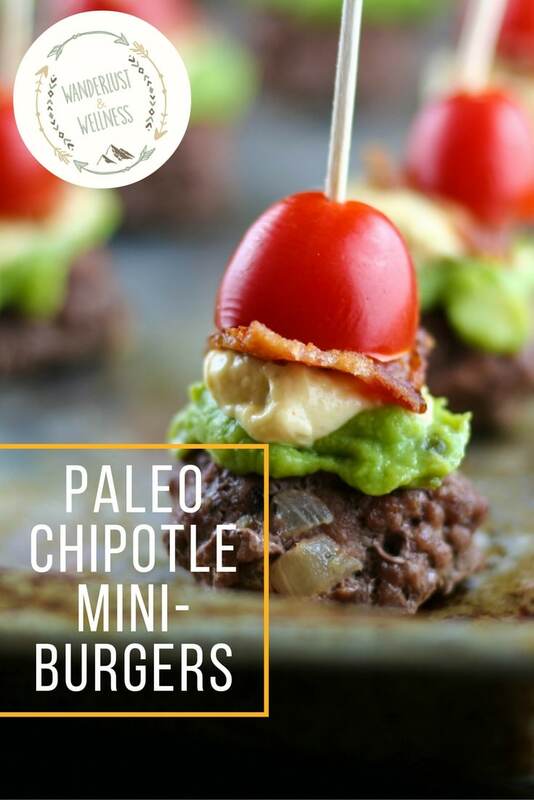 These are another example of how eating Paleo and gluten-free doesn’t mean you have to give up good flavor! I promise you that! The key is taking some of your favorite foods and adjusting them to new versions that reduce inflammatory ingredients. Baby steps! For the sake of time, I did use pre-packaged guacamole (Wholly Guacamole) this round, but you can easily make your own. The Primal Palate Chipotle Mayo is so good, and you can find it cheaper if you order it through Thrive Market, which is where I always order mine. Cook bacon until crispy, remove and set aside. Do not discard bacon grease. Add chopped onions to bacon grease and cook on medium heat until browned. Add hamburger, browned onions and steak seasoning to medium sized bowl and mix well to combine. Form hamburger mixture into tablespoon sized balls and place onto a lined or nonstick baking sheet. Bake in the oven for 10 minutes, remove and let cool. While meatballs are cooking, slice bacon into small squares, one for each meatball. Slice cherry tomatoes in half, one for each meatball. Once meatballs have cooked. start assembling. First thread through the tomato half, then bacon. 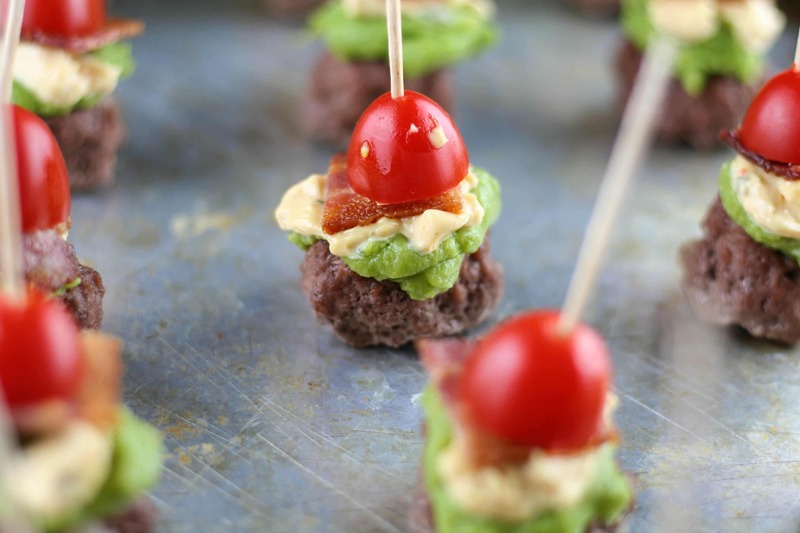 Put a small amount of guacamole and chipotle mayo on top of the meatball, then slide the skewer through the meatball.